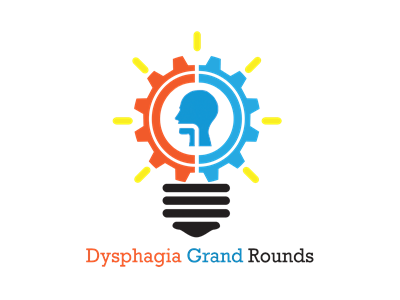 Dysphagia is the main cause of aspiration pneumonia and death in Parkinson disease (PD) with no established restorative behavioral treatment to date. Reduced swallow safety may be related to decreased elevation and excursion of the hyolaryngeal complex. Increased submental muscle force generation has been associated with expiratory muscle strength training (EMST) and subsequent increases in hyolaryngeal complex movement provide a strong rationale for its use as a dysphagia treatment. The current study's objective was to test the treatment outcome of a 4-week device-driven EMST program on swallow safety and define the physiologic mechanisms through measures of swallow timing and hyoid displacement. This was a randomized, blinded, sham-controlled EMST trial performed at an academic center. Sixty participants with PD completed EMST, 4 weeks, 5 days per week, for 20 minutes per day, using a calibrated or sham, handheld device. Measures of swallow function including judgments of swallow safety (penetration–aspiration [PA] scale scores), swallow timing, and hyoid movement were made from videofluoroscopic images. No pretreatment group differences existed. The active treatment (EMST) group demonstrated improved swallow safety compared to the sham group as evidenced by improved PA scores. The EMST group demonstrated improvement of hyolaryngeal function during swallowing, findings not evident for the sham group. EMST may be a restorative treatment for dysphagia in those with PD. The mechanism may be explained by improved hyolaryngeal complex movement. 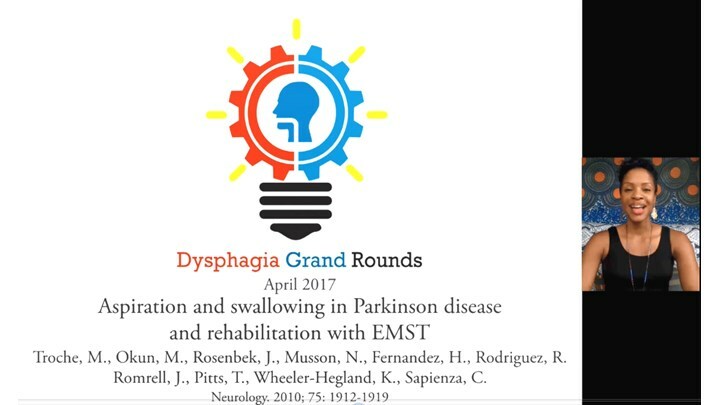 In this webinar, Dr. Ianessa Humbert discusses the DGR 4 research article 'Aspiration and Swallowing in Parkinson Disease and Rehabilitation with EMST: A Randomized Trial' in detail; teaching clinicians how to review this study critically and interpret the findings. What are the physiological effects of EMST on hyoid elevation? Does it decrease dysphagia severity and minimize the risks of aspiration? Speech-language pathologist Rinki Varindani Desai poses some of these questions and discusses the clinical implications at the end of the webinar.